Actor Cliff Curtis modestly acknowledges he is not a brand or a marquee name, despite a vast body of work which includes Once Were Warriors, Whale Rider, The Dark Horse, Blow, Three Kings, The Insider, Sunshine, Training Day, Collateral Damage and Crossing Over. That could soon change as Curtis plays a key role in the latest iteration of Universal’s Fast & Furious franchise, followed by a recurring character in all four of James Cameron’s Avatar epics. In Fast & Furious Presents: Hobbs & Shaw he plays the brother of Dwayne Johnson’s character, diplomatic security agent Luke Hobbs, who teams up with mercenary Deckard Shaw (Jason Statham) to stop a new threat — “super-human” terrorist Brixton (Idris Elba). Directed by David Leitch (Deadpool 2, Atomic Blonde), the action adventure is due to open in August. The actor wryly likens joining the franchise to jumping on massive, fast-moving freight train and trying not to fall off. He had watched the previous editions “intermittently” and describes Johnson as very charismatic and engaging. Curtis is among the new additions to the Avatar cast including Kate Winslet, Oona Chaplin, Britain Dalton, Filip Geljo, Jamie Flatters, Duane Evans Jr. and Edie Falco, joining the regulars Sam Worthington, Zoe Saldana, Joel David Moore, CCH Pounder, Matt Gerald, Dileep Rao, Stephen Lang, Giovanni Ribisi and Sigourney Weaver. He plays Tonowari, a chief and leader of the Reef Nation. Uncertain of what to expect before he met the director, he tells IF: “He’s a genius, surprisingly human. I wasn’t too sure if he would be somewhat of a Terminator-type character because of his reputation. He’s just such a lovely, generous, kind, thoughtful man. I was really taken aback by how human he is. 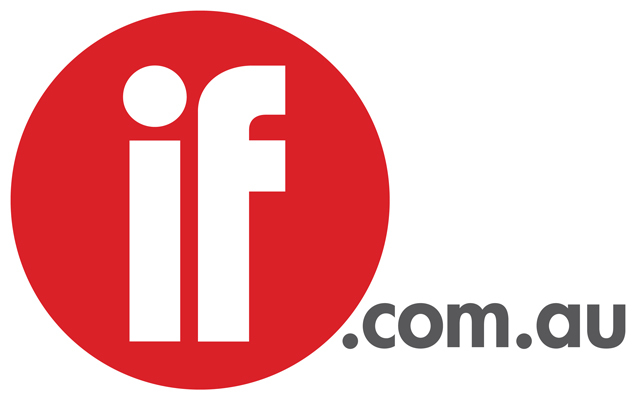 The cast has shot the majority of the performance capture sequences for the next two editions and the live action shoot will start soon in New Zealand. The second chapter will open on December 18 followed by Avatar 3 on December 17 2021, Avatar 4 on December 20 2024 and Avatar 5 on December 19 2025. 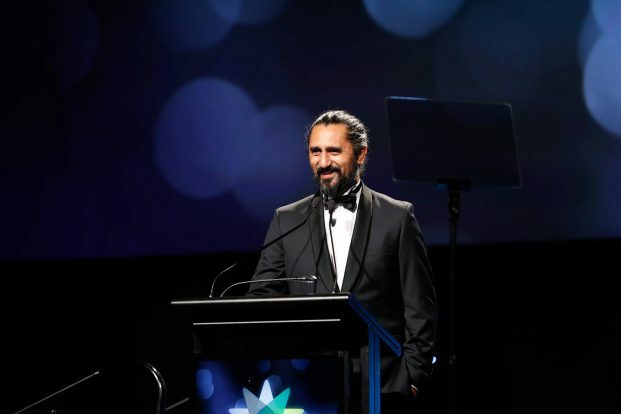 Cliff Curtis at the 2018 APSA Awards. The Avatar shooting schedule will give him plenty of flexibility so he can take on other work, including a mooted sequel to Jon Turteltaub’s action/horror movie The Meg, in which he co-starred with Jason Statham, Li Bingbing and Rainn Wilson. Later this year he will be seen in The Sleep, the Warner Bros. sequel to The Shining, adapted from Stephen King’s 2013 novel. Written and directed by Mike Flanagan, the thriller follows Ewan McGregor as Danny Torrance, now in his 40s and struggling with the demons of anger and alcoholism that plagued his father. Curtis plays Danny’s best friend with Rebecca Ferguson as Rose The Hat, the head of a cult that feeds on the “steam” created by the young, Kyliegh Curran as Abra Stone, a girl who has the gift of ‘The Shining,’ and Bruce Greenwood as Dr John. Born in Rotorua of Maori descent, Curtis studied at the New Zealand Drama School and later at the Teatro Dmitri Scoula in Switzerland. He made his film debut in Jane Campion’s The Piano in 1993, followed by Kevin Reynolds’ Rapa Nui and Lee Tamahori’s Once Were Warriors. Alternating between NZ and Hollywood projects, for two years he played Travis Manawa, whose blended family must reinvent themselves after the zombie apocalypse in AMC’s Fear the Walking Dead. He refers to his career as a trade or a craft, avoids social media, doesn’t have a publicist or crave fame or celebrity. Working with the likes of Morgan Freeman in action drama Last Knights and with Anthony Hopkins on legal drama Fracture was, he says, like watching masterclasses. “Most of my work is determined by the directors who choose to work with me,” he says, citing such luminaries as Martin Scorsese, Michael Mann, Danny Boyle, Jane Campion, Niki Caro and now James Cameron. Check back tomorrow for more on Curtis’ parallel career as a producer and his plans to direct his first feature.